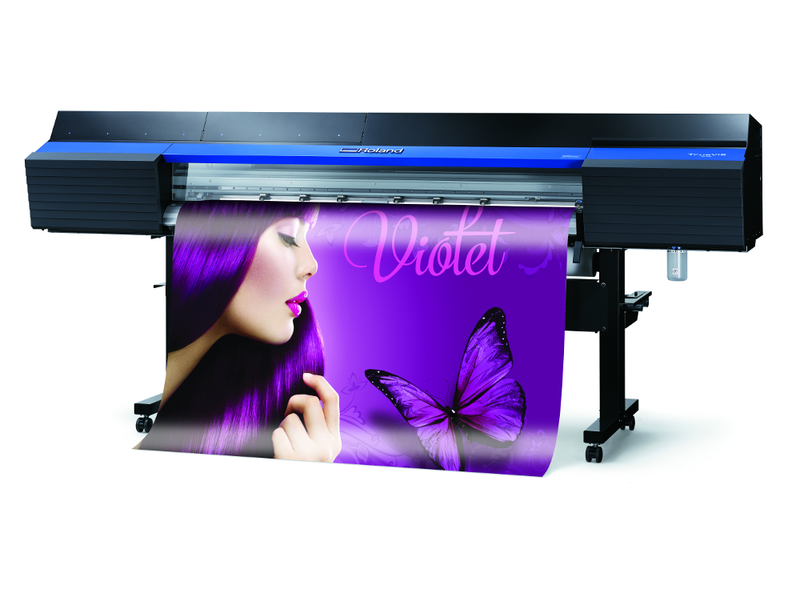 The Roland VG-640 and VG-540 are four-head print/cut machines using the newly developed FlexFire Ricoh heads. Also new in this model are flex-pack TrueVIS 500ml ink cartridges, a new cutter design, and a bluetooth tablet console. Color sets are CMYKCMYK, CMMYKLcLmLk, and CMYKLcLmLkWh. A Take-up reel is included with the VG series machines. Extra dryers are available as an option. The VG Series also comes standard with VersaWorks Dual, the latest version of Versaworks. This includes an ink calculator and spot-color libraries.